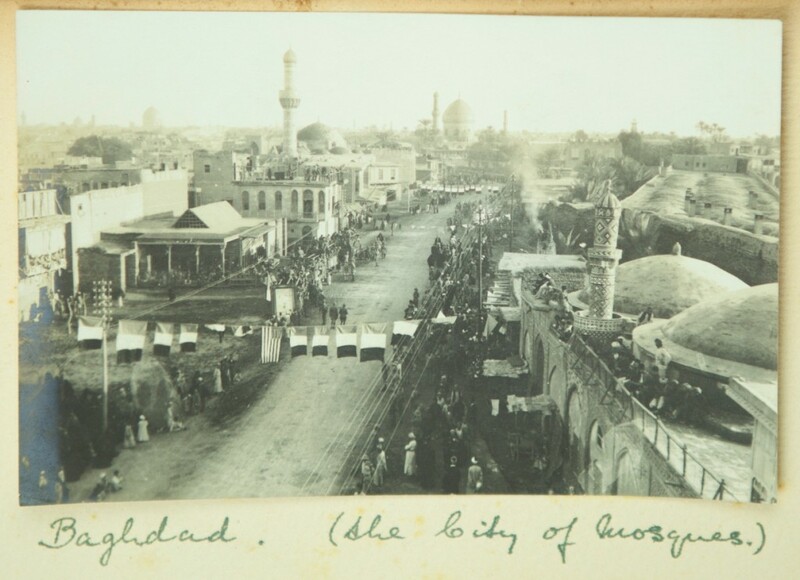 Library Special Collections has recently acquired a photograph album of Iraq ca. 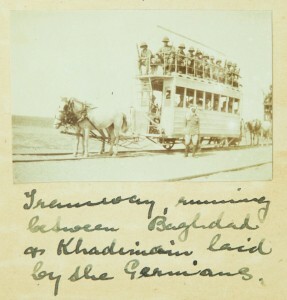 1919, containing about 185 photographs and 25 postcards, all of which have captions. 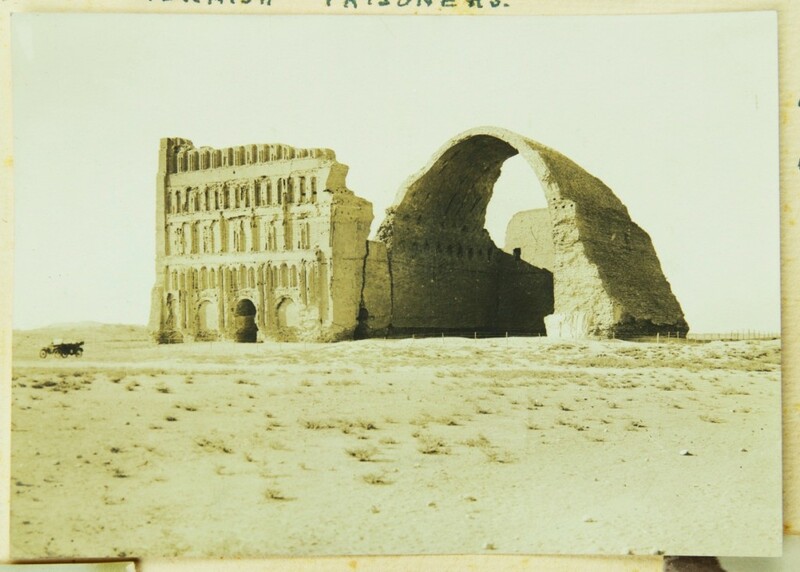 The photographs would appear to have mostly been taken by a British army officer, and predominantly feature Baghdad and Basra, although other locations such as Ctesiphon, Babylon, Najaf, and Kufah are also represented. The photographs cover a wide variety of subjects from pictures of typical Iraqis going about their daily lives, to coffee shops, boats on the Tigris and bridges over the river, British army officers at rest, mosques and Roman Catholic churches in Baghdad, dates and date pickers, a German tram and a German train outside Baghdad, and an Iraqi gun monitor on the Tigris. At the end of the First World War the Ottoman Empire was broken up. 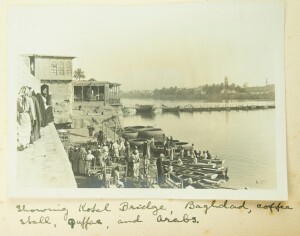 Britain inherited 3 Ottoman Vilayets - Basra, Baghdad, and Mosul - which were to form the basis of the British Mandate for Mesopotamia and later Iraq. 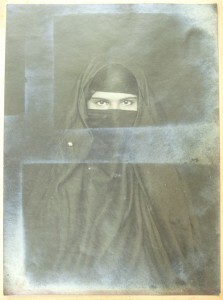 In 1920, mass demonstrations occurred with the objective of forming an Arab government. Armed revolt followed. The British were forced to bring reinforcements from Iran to help put down the rebellion. By October the rebellion was over as supplies and funding for the rebels ran out. The rebellion prompted Britain to institute a more legitimate form of government, and to this end they installed the Hashemite ruler Faysal, a descendent of the prophet Mohammed. The Hashemite monarchy was very much a British puppet, but it survived until its overthrow in 1958.